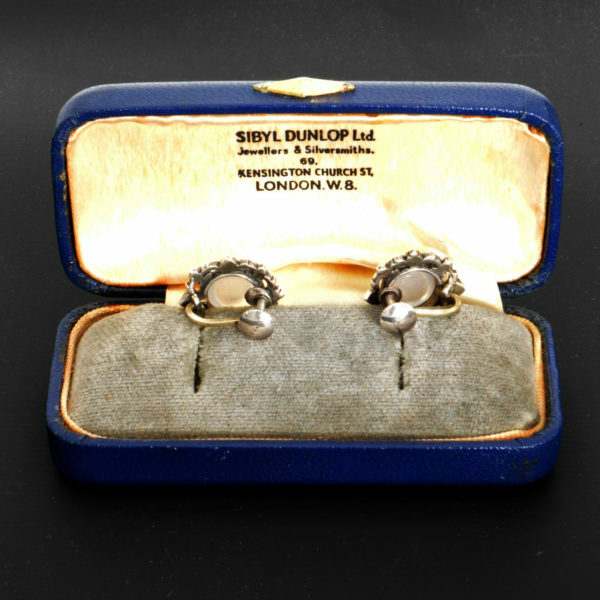 For sale is this really lovely earring set. 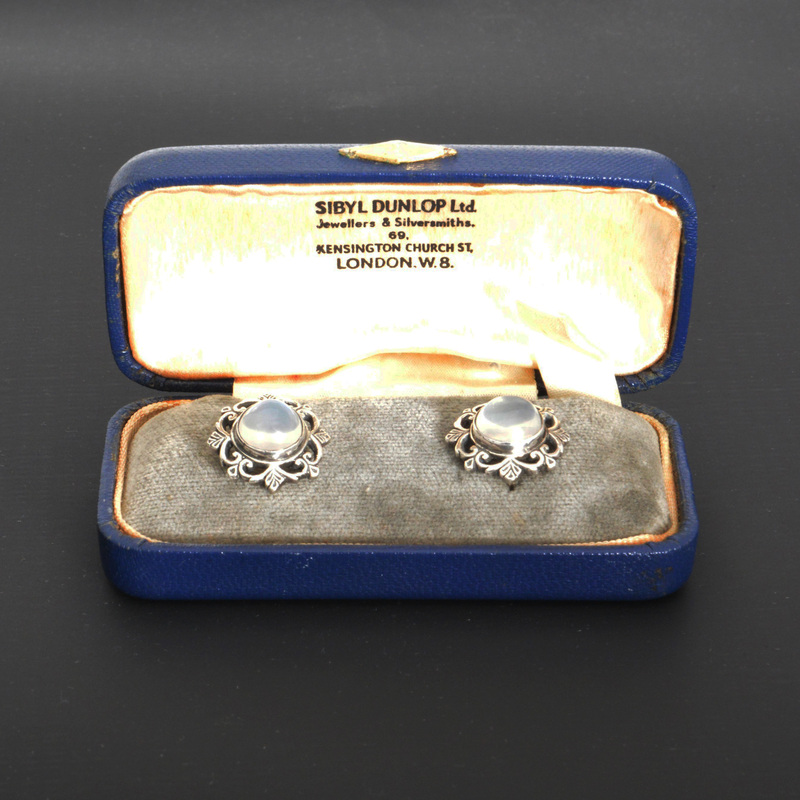 Each piece is set with very good matching moonstones. The silver is cast, dating the piece to c.1950. 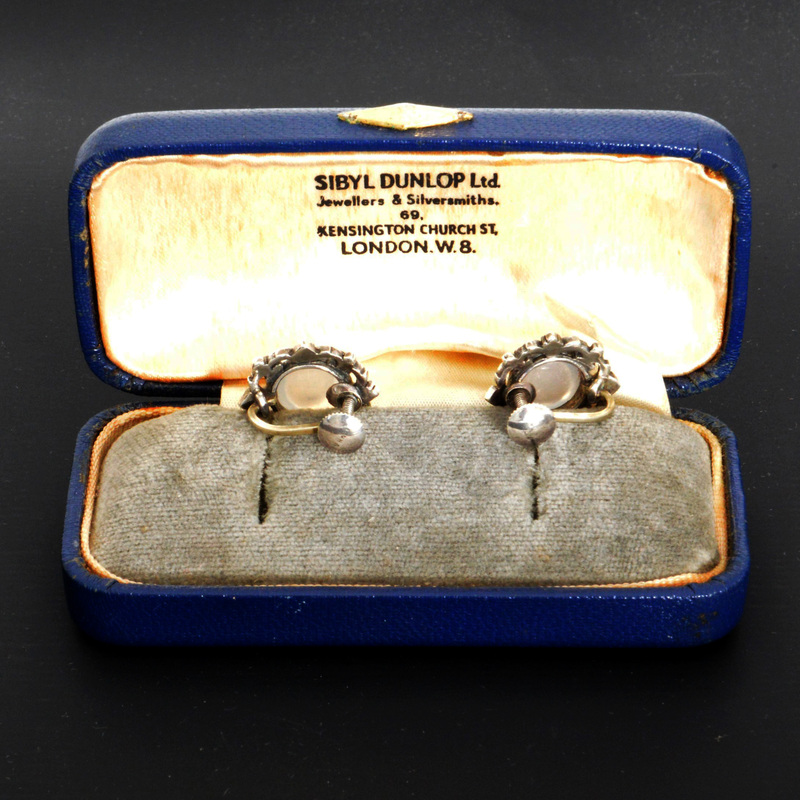 The earrings are still with their original Sibyl Dunlop box.